But I consider indispensable The Band "Sotasei Riron" and The Singers : "Umekishi Okunimeguri", "Morita Douji," & "Meiko Kaji",Love Them! 04. Do We Really Care? Incredible collection!! irregardless. Faye experiments a lot, and I have her 2000 album Fable from pirated CD shop in Wan Chai, really amazing the vocal and productions, unlike anything you usually hear in the Chinese music market. Hong Kong pop singer Faye Wong will perform five solo concerts in Beijing this fall, Sohu.com reports. The concert organizers have announced the shows are scheduled for October 29th, 30th and 31st, and then continuing on November 5th and 6th at Wukesong Stadium. Earlier information suggested the concert tickets would be expensive, with some seats going for 2,000 yuan or roughly 294 US dollars. However, organizers say ticket prices have yet to be determined, and ask fans not to believe unofficial sources. lol stalker pix of Faye shopping in Paris. June 30 or July 1.
it's cool cuz shirenu is there too!! The poster and ticket prices for pop diva Faye Wong's series of concerts were released. The poster and ticket prices for pop diva Faye Wong's series of concerts in Beijing and Shanghai to mark her return to show business were released Friday. The most expensive ticket for the concert is priced at 2,500 yuan (US$369). The first Beijing shows are scheduled for October 29, 30 and 31, while two others will be held on November 5 and 6 at Wukesong Stadium in the western part of the capital. Wong will perform concerts on November 19, 20, 26 and 28 in Shanghai. Wong is busy preparing for the concerts during which she will perform most of her famous hits such as "Red Bean," "I'm Willing" and "Legend." Pop diva Faye Wong held a press conference in Beijing on Monday, July 19, to launch her series of solo concerts. Pop diva Faye Wong held a press conference in Beijing on Monday, July 19, to launch her series of solo concerts, sohu.com reports. Having been long absent from the media, Faye Wong heated up the atmosphere when she showed up in a graceful black and red dress, though she still maintained her silent character. The entrance to the press conference was decorated with all the albums she's released during her 21-year career, reviewing the legend of a normal Beijing girl who turned herself into an admired pop singer. As the most anticipated concert of the year, Faye Wong will give 10 performances in total in Beijing and Shanghai. The first Beijing shows are scheduled for October 29, 30 and 31, and continuing on November 5 and 6 at Wukesong Stadium. Then Wong will perform in Shanghai on November 19, 20, 26, 27 and 28. 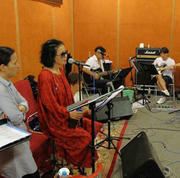 Faye Wong has started to practice with her team in preparation for her upcoming solo concert tour, which will be performed in Beijing and Shanghai. Hailed as the pop diva's comeback tour, the theme of her concerts is "Rebirth". Faye Wong retreated from the showbiz circle six years ago when she married actor Li Yapeng and gave birth to their first daughter, Li Yan. Previous reports suggest that besides Beijing and Shanghai, the concert will also be taken to various cities including Taipei in January of next year. Pop queen Faye Wong held her comeback concert in Beijing the night before. Faye had always been a trendy icon, whether it's the 'pineapple head' seen in old award ceremonies or the 'world's first heel' that appeared at her concert, she will forever be trendy! After giving birth to her youngest daughter (Lee Yin), she steps back on stage at her old home in Beijing for a concert. She had several different costumes including the deceptive swim cap looking white cap can really make people in the fashion industry swarm after it! This time, Faye's concert revolves around the four seasons theme. For the winter part, she only wore a white cap, that looked like a swimming cap, and audience felt it was very glamorous! Her designer Titi Kwan wrote on Weibo afterwards: "It is a pair of 4 year old stockings, giving a unique side..." This makes people think that it belongs to Faye's 4 year old daughter Lee Yin, but when Titi accepted an interview, he denied: "Thinking too much! I bought it from Paris, it is the attire for ballerinas, not Lee Yin's! This time her style is what I wanted!" That night, Faye did not speak too much she only said thank you 4 times, but on Weibo she full of thought. Not only did she thanked everyone's encouragement, she also wrote: "Tomorrow will be even better!" Meaning the performance will get better and better! Regarding her making the record of 'the least talk during a concert' in history, she said: "Our rundown goes all in one go, so I couldn't talk and there was not enough time set in between for me to say anything. But I can still bow!" Also, Faye's hanging up in the air part, her manager (Chan Ka Ying) already bought heavy insurance for the Faye who's afraid of heights. One male fan made a successful marriage proposal to his girlfriend while Faye was performing the song Only Hope For Long Lasting (但願人長久). Pop diva Faye Wong is taking her comeback concert tour to four more cities, Sohu.com reports. Beginning in May, Wong will perform in Guangzhou in southern China, Nanjing in the east, Chengdu in the southwest, and Tianjin in the north, with two concerts in each city, her publicist Katie Chen said Thursday, December 30, 2010. Information on dates and tickets is yet to be announced. The shows will follow Wong's Hong Kong gigs slated for March, as announced earlier. One of China's most influential pop icons, Wong went on hiatus in 2005 to focus on her charity which helps children born with cleft lips and palates, as her second daughter was. The 41-year-old launched a long-awaited comeback concert series in Beijing and Shanghai earlier this year, dominating Chinese news portals that called the shows "the return of the heavenly queen." "Eternal Moment" ("Jiang Ai") released its theme song sung by Faye Wong and Eason Chan! Pop diva Faye Wong arrived in Taipei on January 18 for the Taipei stop of her comeback concert tour. She will perform in the Taipei Arena for three consecutive days starting on Friday, January 21. Wong's agent said that the singer has prepared some new songs for the Taipei concert, which she didn't sing during her Beijing and Shanghai concerts. Faye Wong's good friends, Na Ying and Zhao Wei, also arrived in Taipei to show their support. 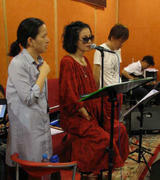 And many of her celebrity fans, including Fish Leong, Carina Lau and Tanya Tsai will come and listen to the concert. Faye Wong kicked off her comeback concert last October in Beijing. The initial plan was to only include Beijing and Shanghai. However, more and more cities were added to the tour list as the pop queen is gradually adapting to the stage. Faye Wong made her return to Hong Kong on Friday night to kick off the first of five shows for her 'Faye Wong Tour 2011' at the Asia World Expo. The entire venue was packed with fans, many who have waited years for her return to Hong Kong. To thank her fans for their endless support, Faye specially added new features to her show, including new outfits and makeup, and also prepared a new brand set list featuring some her classic Cantonese songs. Riding on a float which lowered into the crowd, audience members were able to have a more intimate encounter with their idol. With previous stops in Beijing, Shanghai and Taipei, Faye finally returned to Hong Kong where she first began her rise to fame. She prepared 10 new looks for the night which accentuated her diva image, but maintained her graceful appeal. Aside from her outfits, Faye's makeup design was also brand new. Starting with light makeup at the beginning of the concert, she gradually added different colours and images onto her eyelids and eyebrows, including one which resembled a seabird. Her bangs swept in all directions, which changed according to the four seasons to match with the theme of her concert. It's been almost 8 years since Faye last performed a Cantonese song on stage. Faye appeared a little nervous at the beginning of the concert. Her pronunciation was evidently not as sharp as it was before. However, with the audience's endless applause and cheer, she soon regained her confidence. Faye was so into the music she evened danced a little on stage. In spite of her enthusiasm, Faye remained the same as always and spoke only a few words that night. She said 'thank you' three times in Cantonese and once in Mandarin, and greeted the audience with a simple 'hello' in English. During the 'Fall' segment, Faye wore a black dress which revealed her back. She rode on top of a float covered with feathers which lowered her into the audience, allowing her to be much closer in proximately than she was during her previous concerts. Faye continuously waved at the audience and appeared in high spirits. The two hour concerted ended at 10:15 p.m. At the end of the show, the screens in the back showed an image of a white lotus as she began singing the song 'Heart Sutra'. The audience continued their applause till the very end. Faye Wong performed last night at the Guangzhou International Sports Arena for the second night of her concert tour in Guangzhou. Faye appeared with a completely new look. Her long black hair which she had grown for the past six years was replaced by a bright red haircut. Known as a trendsetter, Faye specially returned to Hong Kong to prepare for her new look. Her outfits were brand new as well and included materials like chiffon, silk and lace. She wore a vintage outfit made of leather, accentuating her ever changing style. Tickets were long sold out for both shows and the price had skyrocketed due to scalpers. Tickets originally priced at $600 RMB were being sold for $2,500 RMB. Some were even sold for $4,000 RMB. However, there were still not enough tickets to go around for all her fans. Aside from scalpers, counterfeits were being sold as well. Many were mixed in with the rest of the tickets. Tickets were selling for cheap right before the show, leading to approximately 20 counterfeit tickets being sold that night. At the beginning of the concert, the audience went out of control. Fans in the front row rushed to the stage to get closer to Faye. Security guards were on hand to control the crowd. Faye's new look earned praises from her fans. She sang a lot of classics during the concert. However, when she sang 'Cold War' she slipped on the lyrics. The audience continued to cheer her on by clapping and she said 'thank you' in return for their encouragement. Faye was lifted above the stage as she sang 'Wishing We Can Last Forever'. The audience sang along with her as she continued to wave from above. She said 'thank you' a total of four times that night, including once in Cantonese. When manager Katie Chan was asked about Faye's slip during her performance, she says that it wasn't because she forgot the lyrics, but something caught in her throat. Faye's husband Li Yapeng was absent from the concert that night. He revealed on Weibo that he's become a student at the Cheung Kong Graduate School of Business. While there are 50 students in his class, only three of them are female. Faye teased him by saying, "There are many wolves, but so little meat." Tony "Big Tony" Leung Ka Fai is crushing on her and exposes Leslie as a fraud and scumbag. 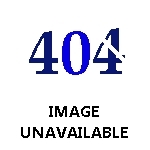 Page created in 0.55 seconds with 18 queries.